We are a family run business who specialise in the design and creation of quality bespoke wooden buildings. 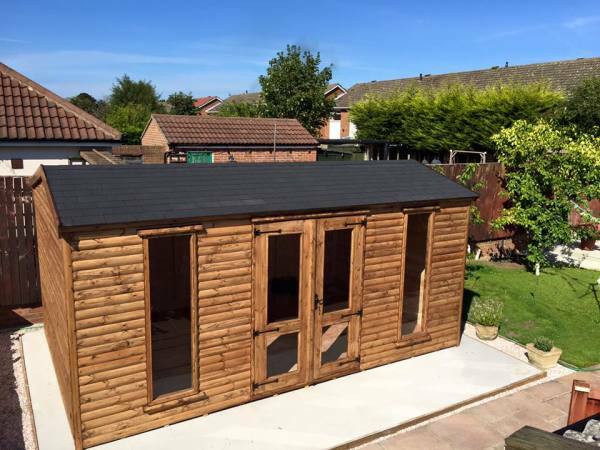 Whether you need extra living space, a garden office, a gym, a shed or a kennel we work with you to create a unique wooden building that combines beauty and function. All our wooden buildings are hand crafted in our workshop, based in the village of Charltons at the foot of the North Yorkshire Moors. Our bespoke service offers you the freedom to decide exactly what you want from your build without adding expense. 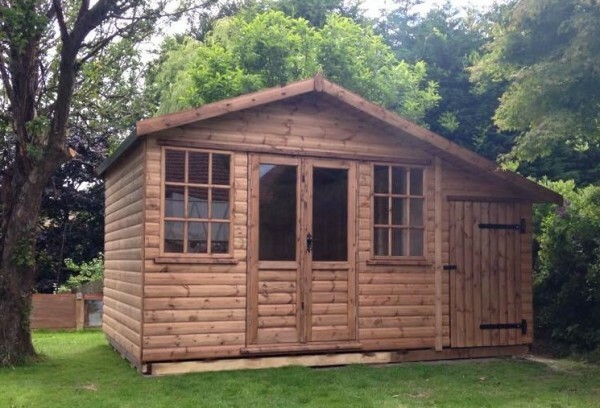 All our wooden buildings are made to order and priced including supply delivery and install. All our wooden buildings are made with quality Redwood Timber. Stained and persevered Sovereign brown. Wall framing timbers 50mm x 50mm or 750mm x 50mm. Floor timbers 20mm redwood Tongue &Groove. Runners tanalised 50mm x 50mm or 750mm x 50mm. Roof 750mm x 50mm framing timber with12mm Tongue &Groove roof. Torch on charcoal felt 4mm. Doors ledge framed and braced, mortise and tenon, full panel, half glazed or full glazed with 6mm laminated glass. Windows wooden fixed or opening with 6mm laminated glass all sizes. UPVC option available. Double glazed French, bi-fold doors and windows. Internals Wooden boarding 14mm Tounge & Groove. 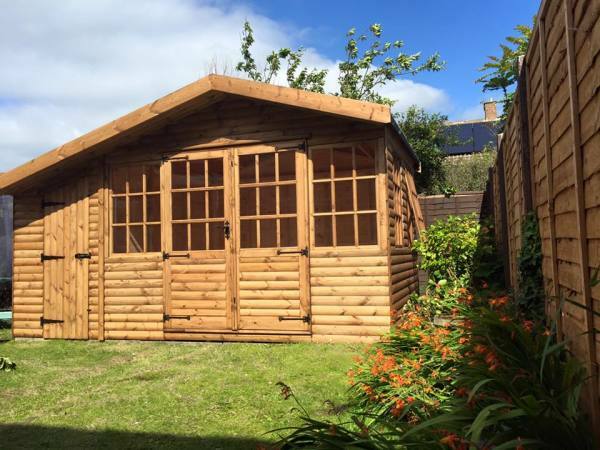 We pride ourselves on our commitment to offer a personal and friendly customer service so please do not hesitate to contact us for further information about any of our garden buildings or services.